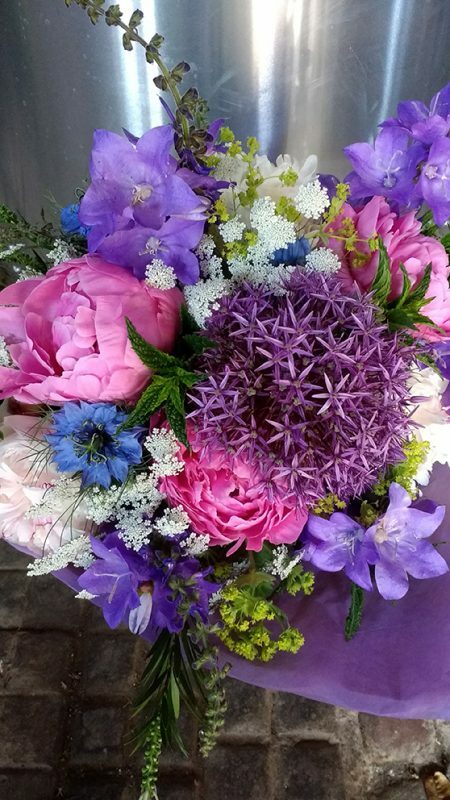 Faversham Life discovers a local florist who grows her own Kentish flowers. 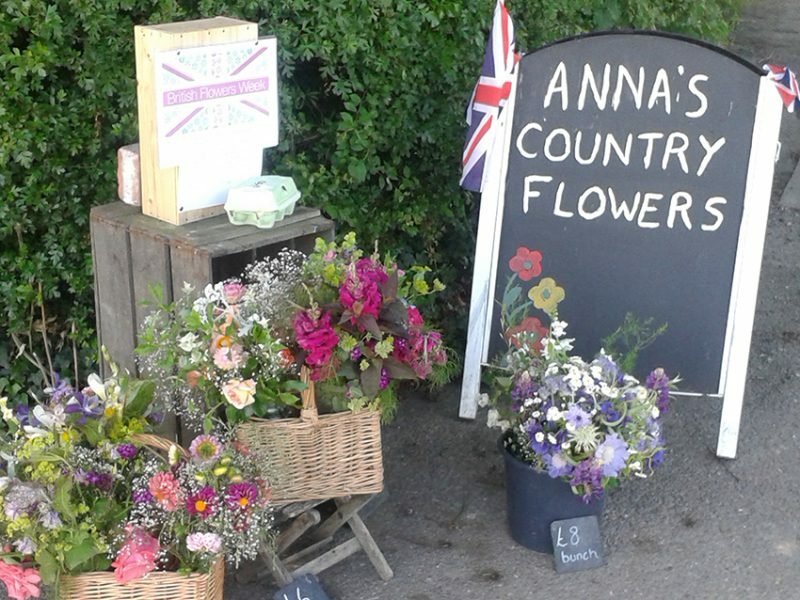 You may have momentarily wondered what a sign emblazoned with ‘Anna’s Country Flowers’ on a verge in the maze of little roads between Faversham and Chilham is advertising. The answer is a delightful idiosyncratic floristry business. Next time you are passing I urge you to stop and buy a floral bouquet if there are any on offer from the little roadside stall. 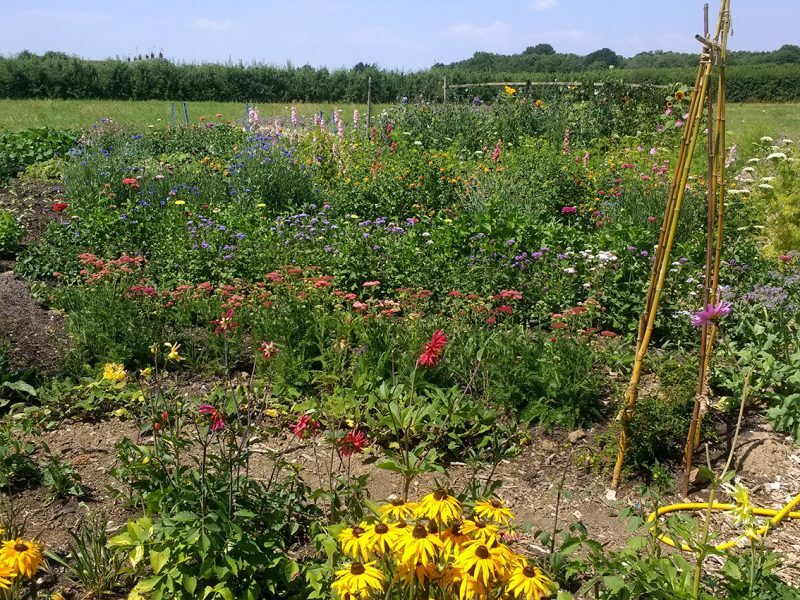 The past few years have seen a burgeoning interest in ‘British Flowers’ which are often marketed as ‘farm grown’ flowers. 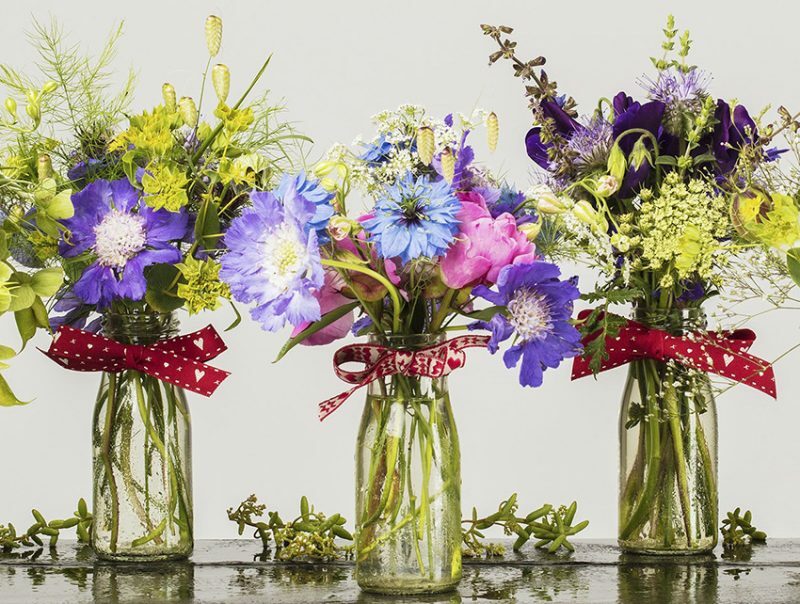 Anna’s Country Flowers is the epitome of this trend. And very lovely they are too. Perhaps it is the fact that Anna is self-trained as a florist that imbues her arrangements with a beguiling freshness and originality. ‘I try not to mix all the colours together. 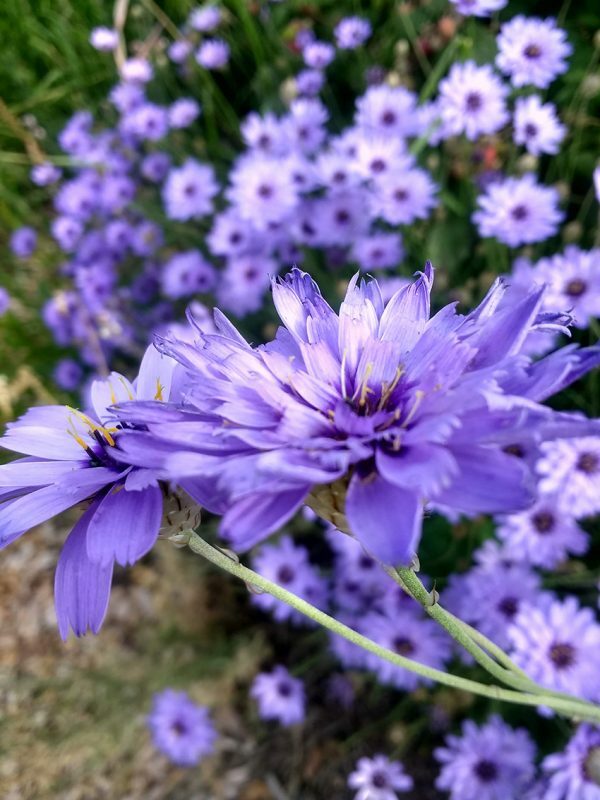 I like to take a hue from the centre of a flower and echo it’. 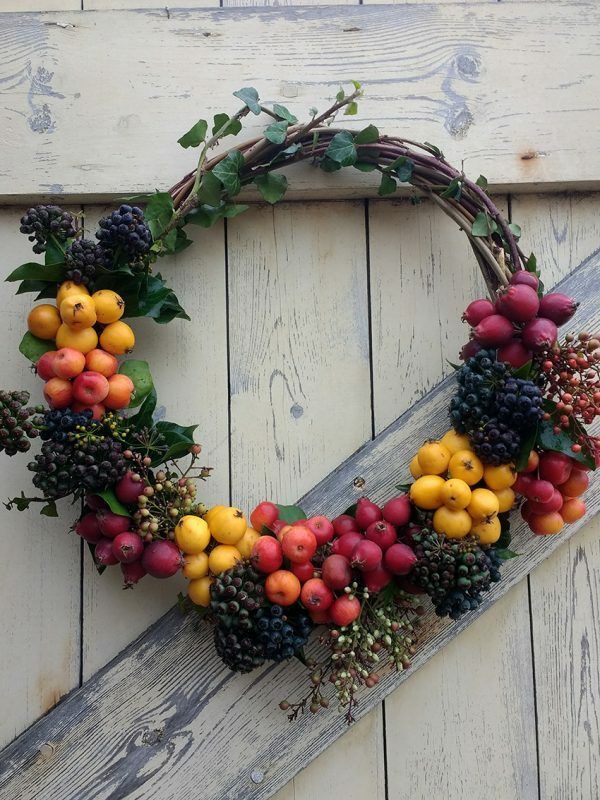 She has a keen eye for unusual colour combinations, and clearly has a natural imaginative flair when it comes to designing stock-in-trade staples such as Christmas wreaths. They are all distinctive with subtle and unusual twists. 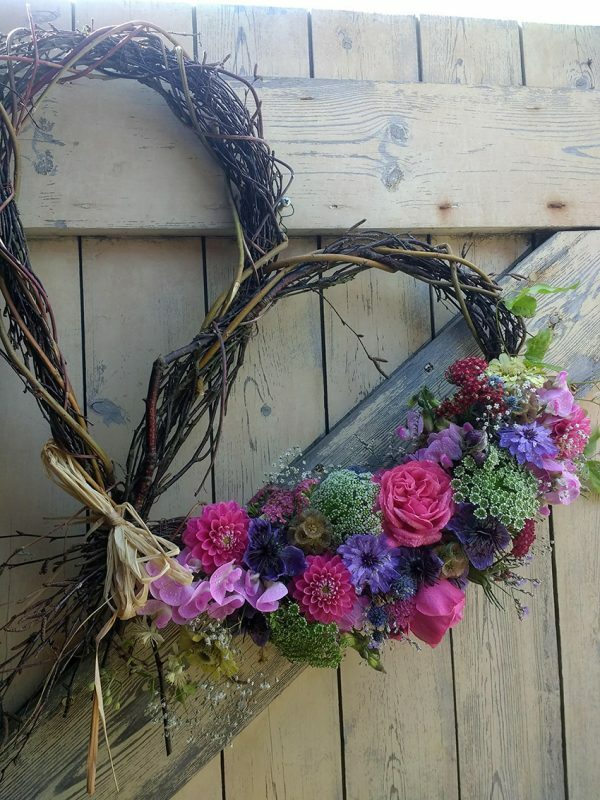 In keeping with current floristry trends, Anna uses the old-fashioned methods of supporting arrangements such as lengths of willow, jettisoning oasis. 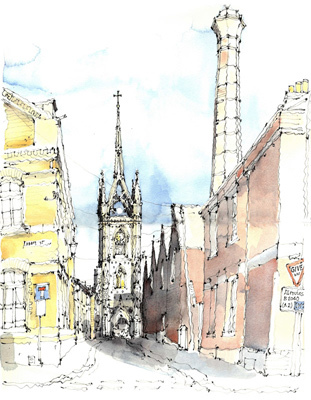 Anna lives with her family in a converted oast house next to the apple and pear farm where she grew up, now run by her husband. 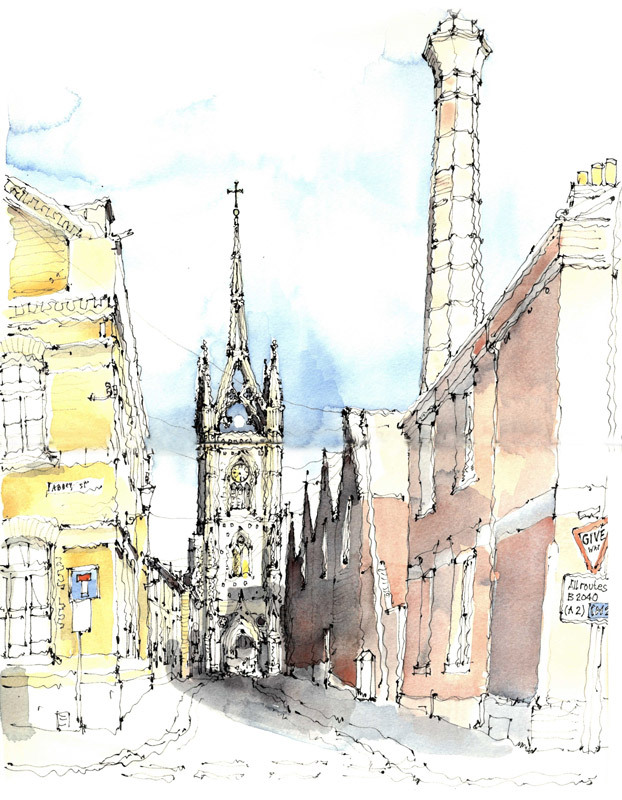 A direct ancestor ran a steam engine business in Faversham where Parkers, the builders are on the A2 is today. It never occurred to Anna that one day she would be a florist. She studied agriculture at Cirencester Agricultural College. She laughs: ‘When I got married I knew nothing about flowers and left all that to my mother.’ Now 40 per cent of her business is wedding flowers. 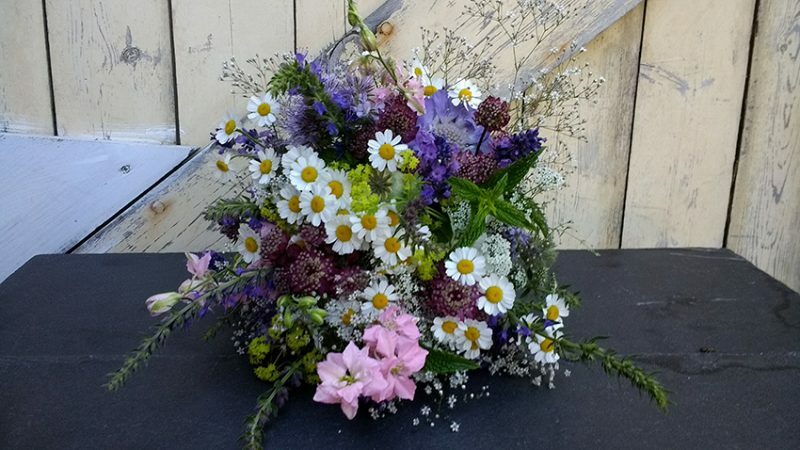 Like many of the best businesses Anna’s Country Flowers evolved by accident, from giving little posies of home-grown flowers to her children’s teachers at the end of term to what is now a full-time job. Cupid dart weathering the hot weather well. Lucky brides sign up for a bespoke service, having a consultation with Anna a couple of weeks before their wedding or sometimes even a year in advance to see what’s looking good to plan their requirements. Anna also is happy to sell buckets of flowers for the artistic bride who wants to create her own arrangements. 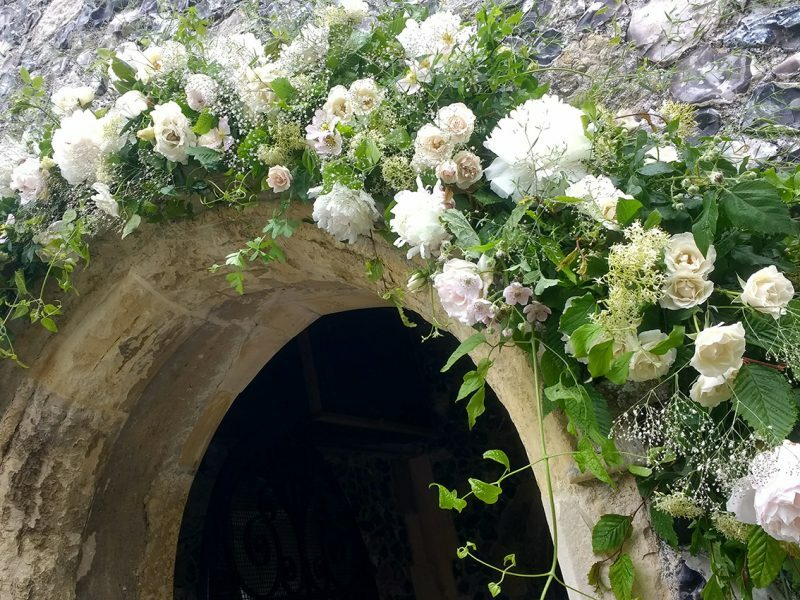 ‘It is a great way of bringing a family together, getting everyone involved in the celebrations.’ Making bridal floral crowns are popular with hen parties. 22 August Summer Flower Crowns for parents and children.